Linfield were in seventh heaven on Saturday as they outclassed and outplayed Ballyclare Comrades in the fifth round of the Irish Cup. This was the second time the Blues faced the Championship 2 outfit this season, having previously survived a major scare before overcoming the Comrades 6-4 in the League Cup back in September. David Jeffrey took no risks this time around by fielding a full-strength team. Regulars Alan Blayney, Jamie Mulgrew and Mark McAllister were all missing through injuries, but all are likely to return in the next few weeks. Stuart Addis continued deputising in goal, while Garrett started in place of Mulgrew and Patterson partnered Thompson up top in a 4-4-2 formation. The visitors took a shock lead in the 22nd minute when Andrew Simms whipped in a free-kick which was too hot to handle for Stuart Addis, and McClelland was on hand to tap in for the Comrades. It was a bad goalkeeping error that was punished clinically. 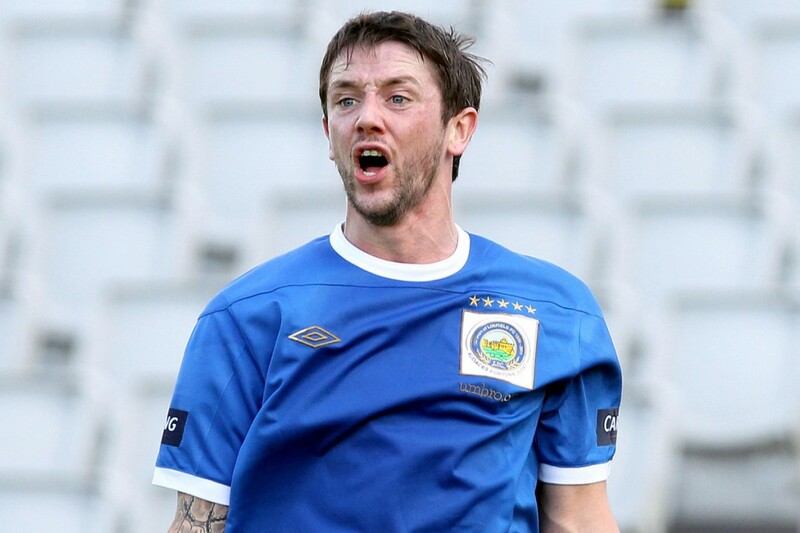 This setback stirred Linfield into life and they drew level only seven minutes later through a Philip Lowry header. It started off an incredible period for the Blues who hit seven goals in a 45 minute spell. Thompson put the home side in front before setting up Lowry who slid home his second. There was still time before the break for Rory Patterson to make it 4-1 from the penalty spot. The second half started in the same fashion. Peter Thompson scored Linfield’s fifth after playing a one-two with the post. It was a landmark goal for the marksman, his 200th goal for the club. Linfield showed no signs of stopping and Patterson netted the sixth with half an hour remaining after he cut in from the right and picked out the far corner of the net. There was now a situation where three players were one goal away from securing their hat-trick. Patterson won the race, with the best goal of the afternoon to make it 7-1. Ballyclare failed to clear a Robert Garrett corner and Patterson smashed the ball into the net from the edge of the penalty area. It was an emphatic finish of supreme technical quality. It was Patterson’s first treble for his new club and looks set to add more if he continues in this rich vein of form. So Linfield’s hopes of yet another league and cup ‘double’ continued as they avoided an upset. The same could not be said of cross-town rivals Glentoran who suffered an incredible 1-0 home defeat to the amateur club Newington. It signalled the end for Glentoran’s manager Scott Young who resigned following the game. The club lie sixth in the Carling Premiership table and have now been dumped out of every domestic cup competition. Director of Football Roy Coyle will take temporary charge of the team, with Eddie Patterson, Paul Kirk and Roy Walker the current frontrunners for the job. There were two other Premiership casualties in the draw. Glenavon overcame mid-Ulster rivals Portadown 2-1, while Glenn Ferguson won his first game in charge of Ballymena by overcoming Lisburn Distillery by the same score line. Linfield have been drawn at home to Carrick Rangers in the next round of the Cup, which will take place on Saturday 11 February. Carrick Rangers have loaned Linfield youngster Marcus Kane until the end of the season. The other two players loaned out by the Blues have had contrasting fortunes. Brian McCaul has scored twice in two games for Glenavon, while defender Kris Lindsay has suffered an injury setback for the Lurgan Blues. Linfield return to league action on Saturday with a home fixture against Dungannon Swifts.